A theatre group for youngsters in Hackney is celebrating after being awarded a three-year grant of £67,770 by leading charity BBC Children in Need. 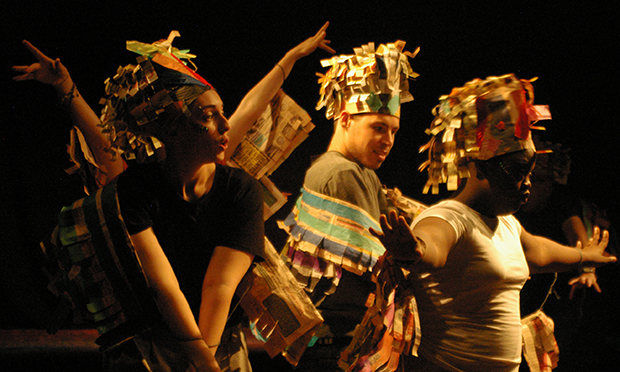 Hackney Shed puts on productions and workshops with young people aged 7-19, giving them an opportunity to experience theatre on and off the stage in an inclusive environment. Last year, the company launched a collective aimed at under-25s in response to its alumni complaining they had nowhere to go to practice drama after leaving the Shed. The collective is currently run on an ad-hoc basis whenever funds are available. Along with the money from Children in Need, which will help the Shed stay afloat for at least another three years, the company is hoping to raise enough cash to run its collective more regularly. Hackney Shed’s artistic director Vicki Hambling said: “We are thrilled to receive continued support from BBC Children in Need. “These funds will keep our doors open for another three years so that young people in our community can create more exciting and inclusive theatre. The grant was announced as part of Children in Need’s first round of funding for 2019. The charity, which awards grants six times a year, currently supports 43 projects in Hackney to the tune of £1.8 million. Clare Cannock, Regional Head of South at BBC Children in Need, said of the new grants: “The public’s generosity towards BBC Children in Need never ceases to amaze me; the money donated means we can go on to fund projects that support children and young people.